Wow, what a page turner. The dates across the tops of the pages really push the story along and create a heavy tension. You’ll want to read this in one sitting. Romy was born on The Infinity, a star ship despatched with the mission to create a human colony on a new planet. Romy has never ever known any other life then that onboard The Infinity and after an incident takes both her parents away from her, she is alone. 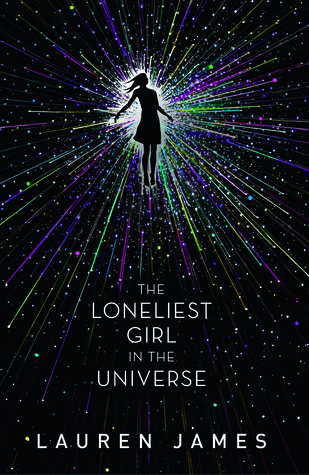 Romy is further away from earth than any human has ever been, hurtling towards the unknown. The weight of a new human colony, by default, resting on her teenage shoulders. Romy has to grow up fast! to have any hope of completing her parents mission. Poor mental health due to the toll that guilt and grief cause is a big part of three integral characters storylines and there were some beautiful scenes, like the one where Romy makes peace with her Mother (I cried). But the highlights for me were the sections of the book where Romy is fast thinking and fighting for her life. I was ripping through the pages desperate to see what happened next. There is so much more I could talk about; Romy’s parents, ‘pen-pals’ and psychological torture, Romy’s cute-as bits of fan-fiction (kind of Rainbow Rowell Fangirl-ish – but it enhanced rather than detracted from the main story). But it’s so much more fun If you find these things out for yourself. Off you go. This entry was posted in Book Reviews: ALL, Book Reviews: YA only and tagged book review, Sci Fi, Sci Fi Book Review, Science Fiction, science fiction book review, YA Fiction, YA Sci-FI, Young Adult, Young Adult Book Review by Sarah "SacaKat" Fairbairn. Bookmark the permalink.